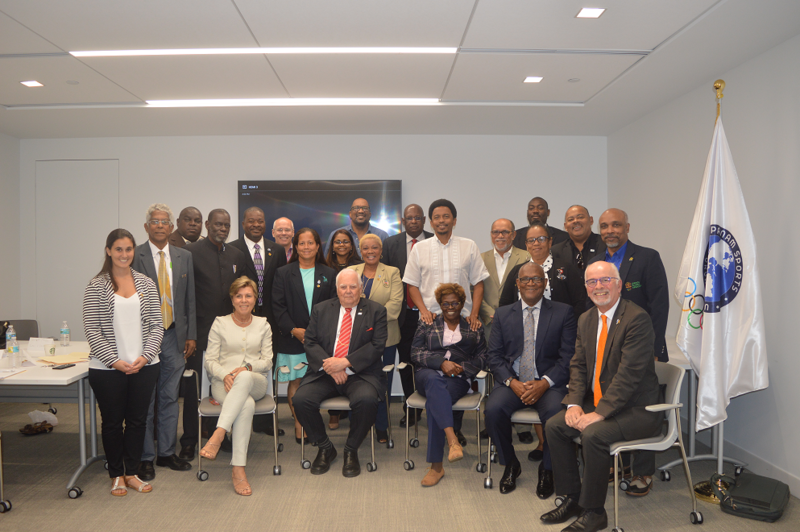 On October 30th in the city of Miami, United States, TAFISA and PANAM Sports held their first meeting and workshop for the development of the Americas Alliance for Sport for All. This first step has brought the two organisations together around potential projects and cooperative actions that will be taken in the near future. During the meeting, PANAM Sports Secretary General Mr. Ivar Sisniega showed a great interest in TAFISA's international work and gave the full support of his organisation for the Americas Alliance for Sport for All project. Promoting physical activity is also a core priority for PANAM Sports, a trend confirmed earlier this year as PANAM Sports President Mr. Neven Ilic signed the Memorandum of Understating of the Americas Alliance for Sport for All. The hard work done by TAFISA Vice President Ms. Catherine Forde, and the constant support of Mr. Keith Joseph, third Vice President of PANAM Sports has been pivotal for the success of the project, a fact that was evident during the meeting and workshop. With two different formats, the day featured presentations of TAFISA and its Mission 2030, the background of the Alliance and the presentation of the survey results conducted among sport organisations of the region during the first half of this year, as well as an open floor for participants to share their experiences in the Sport for All field. The workshop focused on three topics, namely Communications, Programmes and Events, and Finances, and participants brainstormed together to identify the next steps to be taken for the Alliance. In conclusion, with the initial steps underway, TAFISA will continue working for the growth of the Sport for All movement across the American continent with the support and cooperation of PANAM Sports. Together we will work for a better world through Sport for All.